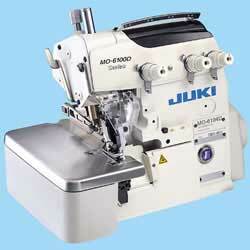 The world's first dry-head overlock machine! 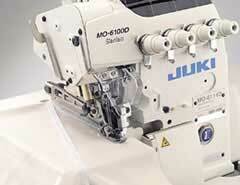 JUKI's technology for developing machines that require no oiling has created an overlock machine with a maximum sewing speed of 6,000rpm. 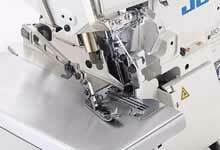 This overlock machine is capable of responding to the need for both high-grade and high-quality sewing performance. Oil stains on the sewing product are eliminated. 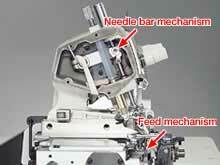 The needle bar, feed and looper mechanisms require no oiling. This means they do not splash oil, thereby leaving no oil stains on the sewing material, and thus contributing to upgraded quality. The driving section of the machine, except for the needle bar, feed and looper mechanisms is installed in a forced oiling block. This block is completely sealed to prevent the leakage of oil. Stain-removing work or re-sewing work resulting from oil stains is eliminated. The machine does not need periodical oiling or used-oil disposal, which markedly improves maintainability.  The machine has been developed with the intention of providing an extended service life. 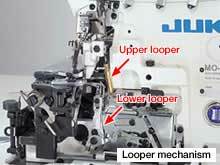 The machine incorporates various mechanisms as standard, such as a differential-feed micro-adjustment mechanism and an external adjustment mechanism for adjusting the feed dog inclination as well as increasing the differential-feed ratio, which can be easily adjusted to finish seams that perfectly match the material to be used. 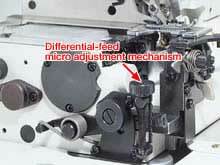 The stitch length can be easily adjusted with the push-button mounted on the front surface of the sewing machine. 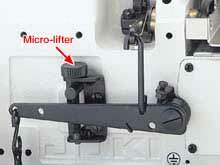 Opening of the cloth plate cover is no longer required for stitch length adjustments. 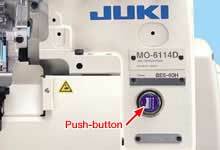 Devices intended for conventional JUKI machines are also interchangeable. Gauges and devices you have used with your existing JUKI machines are also interchangeable with no additional machining required. This eliminates both the waste of resources and unwanted extra costs.